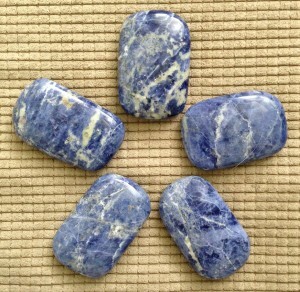 Sodalite is a beautiful blue stone, similar in color to lapis, that is swirled with creamy veins and flecks. It can also be found in other colors, but is predominantly seen in a rich, deep blue. Because of this, sodalite is usually associated with the blue throat chakra and the thyroid gland, making it a great stone to wear as a necklace. It is said to help with communication, supporting the vocal cords and giving the wearer confidence when speaking. 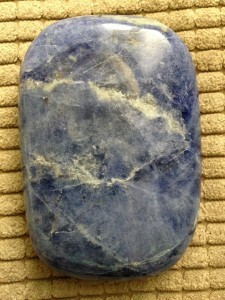 As a thyroid balancer, it is a good to wear sodalite when you need to manage your weight or energy levels. 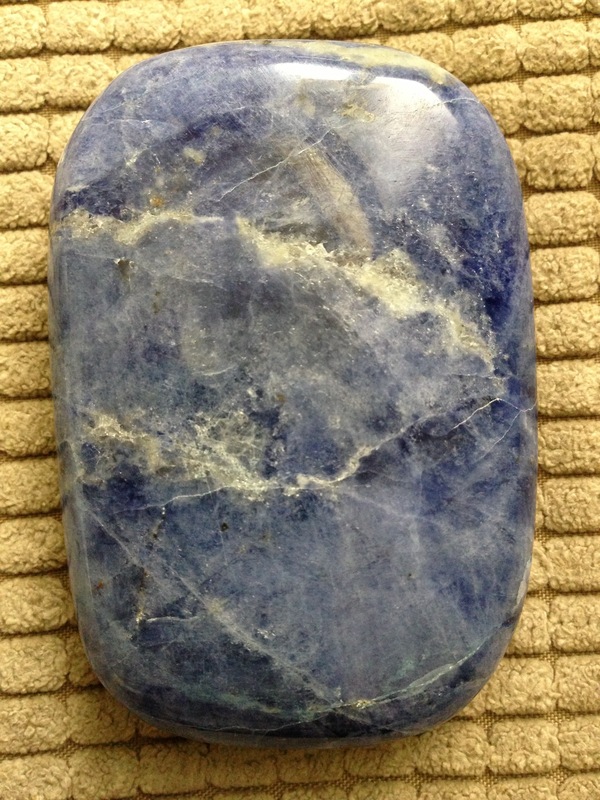 Over the years I have found sodalite to be a workhorse when working with energetics. It seems to readily absorb impurities from the body, mind and emotions. Often I marvel at how the color will actually become darker the longer it is held. As a result, I like to use the stone at times when the need arises to release toxicity, imbalance, impurities, and the like. Give it a try! 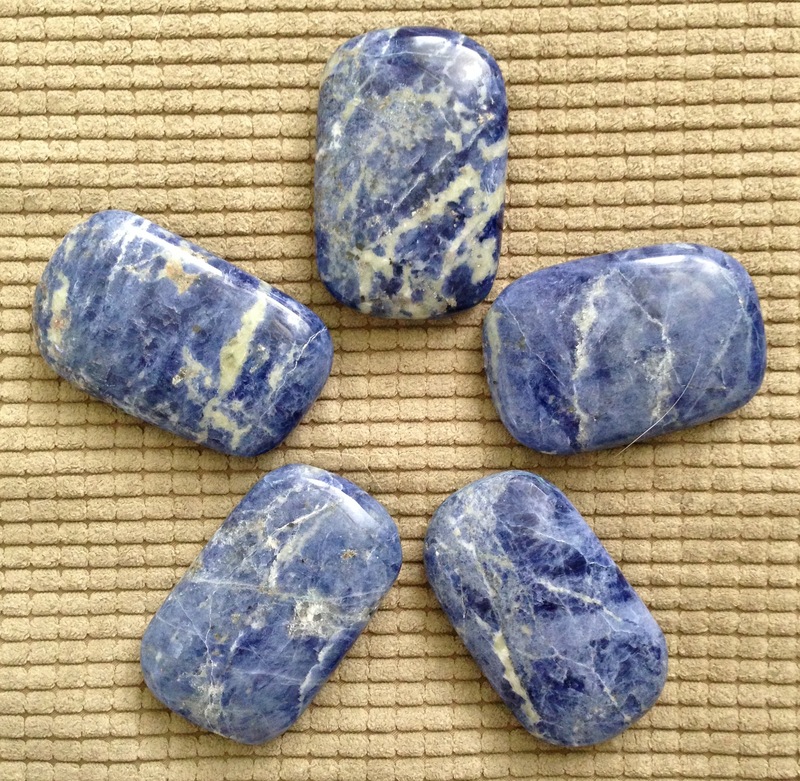 For the month of May we are offering one dozen prime sodalite palm stones for sale in the studio. These gems are from Peru and are smooth, clean, and gorgeous…just ready to work for you. The regular price ranges from $25 – $30 each, but now through May 18th you may purchase one of the sodalite stones for just $18.00. There are only 12…don’t be disappointed. Come in today and choose yours!